Will Warren, PA | Gastrointestinal Specialists, Inc.
Will is located at St. Mary’s Hospital where he assists Drs. Talreja and Thanjan. 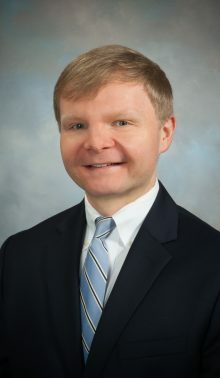 He received his bachelor of science degree in biology from the University of Georgia and then went on to complete his master of physician assistant degree at Eastern Virginia Medical School in Norfolk, Va. Prior to joining Gastrointestinal Specialists. Inc., Will worked in emergency medicine and orthopedic surgery. Born and raised in Richmond, Will and his wife, Lindsay, enjoy cooking, spending time with their dog, trying new restaurants, traveling, running, college football, and do-it- yourself home projects.